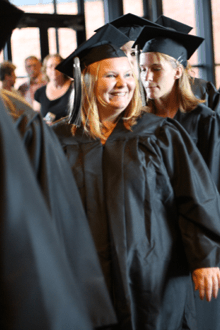 Belmont College offers more than 28 degrees and 24 certificate programs in disciplines such as: allied health, associate of arts and sciences, building preservation/restoration, business, engineering technology, information technology, industrial trades, and public safety. Students can take classes at our Main Campus in St. Clairsville, Ohio or at one of our off-campus locations in Harrison or Monroe County. We want our students to grow personally, academically, and professionally. Once you arrive we help prepare and set you up for success. To explore Belmont College further, select your perspective below, or if you already know that Belmont College is the right place for you, apply now.